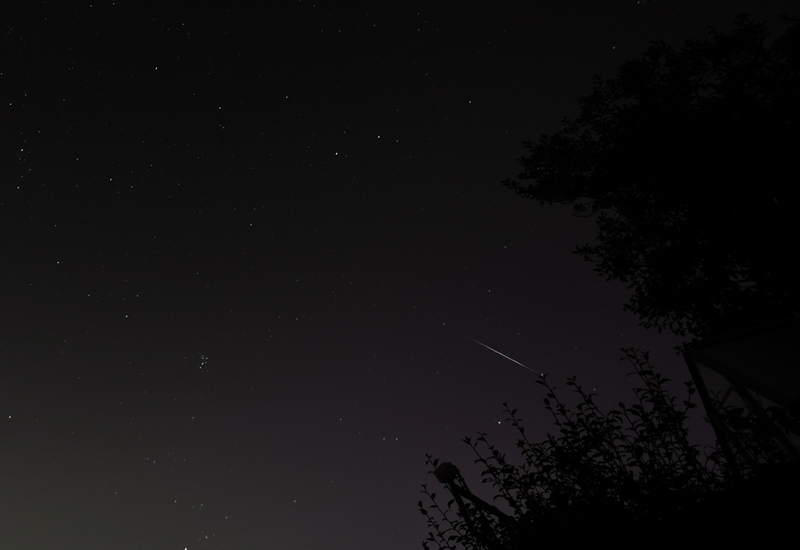 So far I have always been unsuccesful in photographing meteors. I now have a Nikon D810A camera with a wide aangle lens, so the task is much easier. 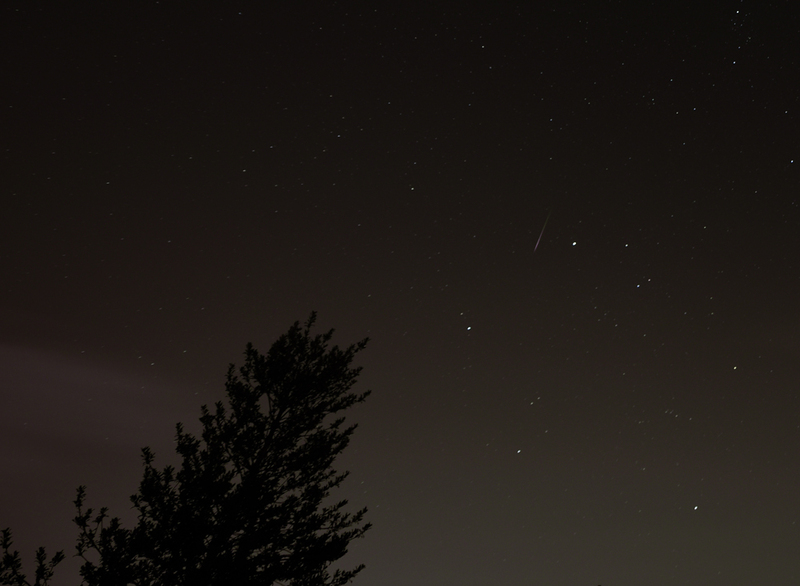 In 3 and a half hours I saw 22 meteors and captured 3. 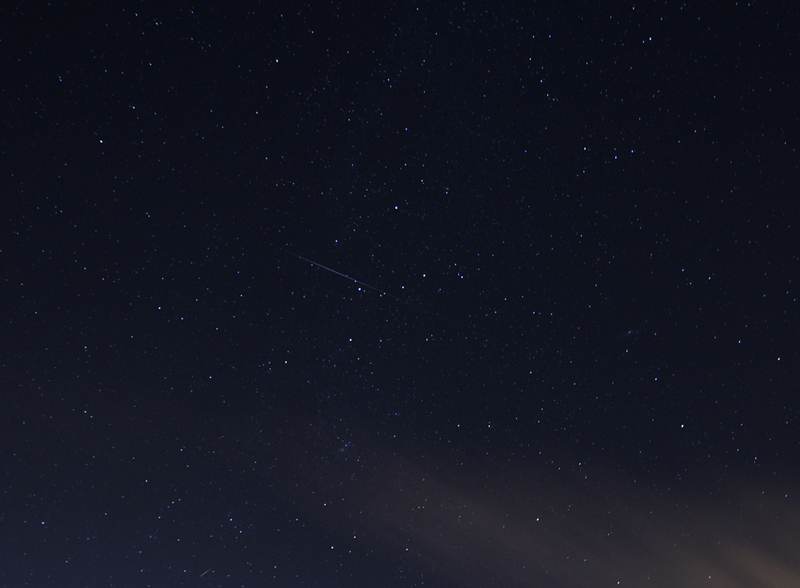 The D810A camera has a built in intervalometer, so it is easy to take a sequence of images. 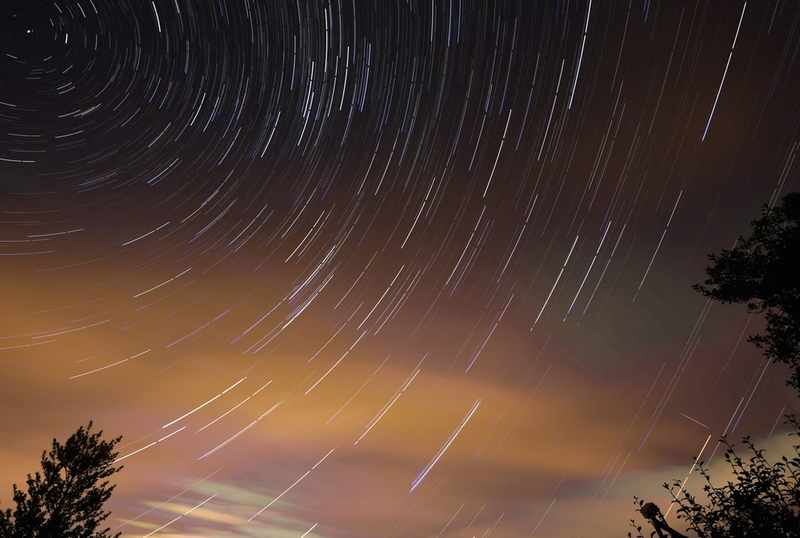 The free software StarTrax overlays images to produce star trails. 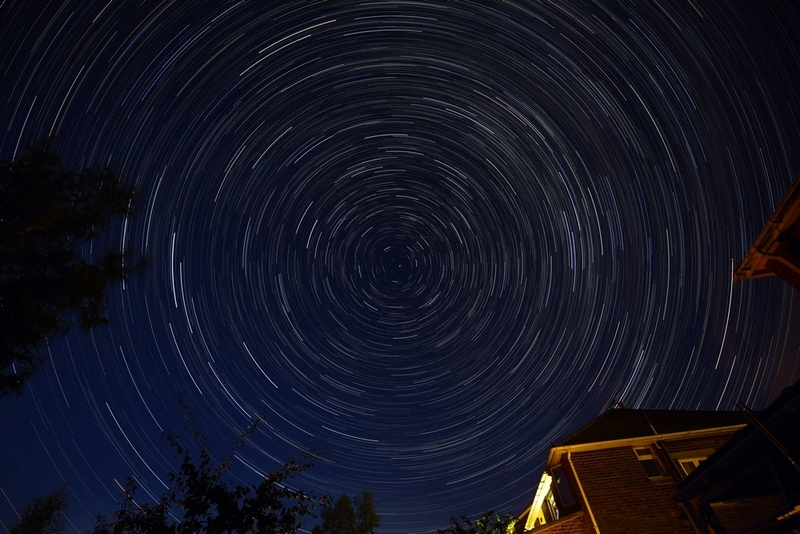 I was at a location with a much darker sky than mine so I made a star trail image with Polaris near the centre. This eliminates distortion produced by the wide angle lens. 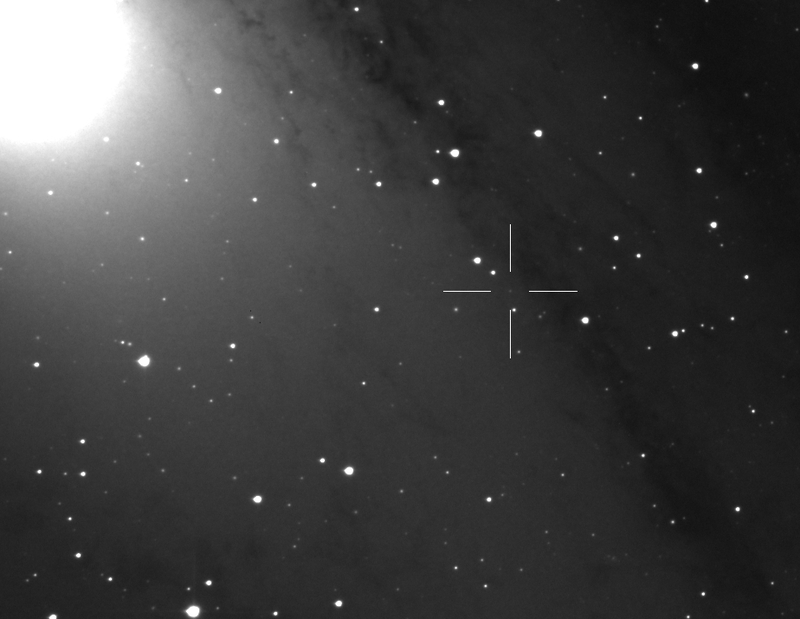 M31 is now accessible so the nova search continues. No new discoveries, but two recent discoveries were seen. This one escaped me - I missed it on my image blinking. 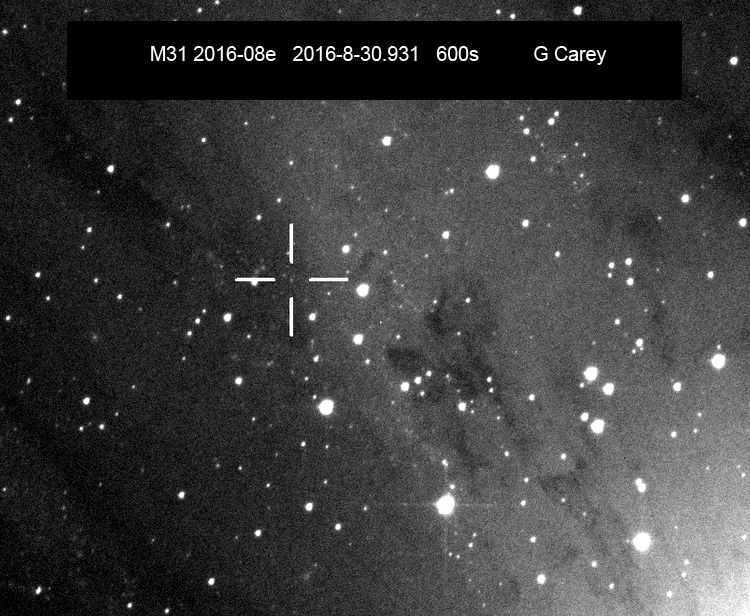 It was discovered several hours before I started, by observers in Japan. This star has the greatest proper motion of any star in the sky. This animation compares positions in 2014, 2015 and 2016. 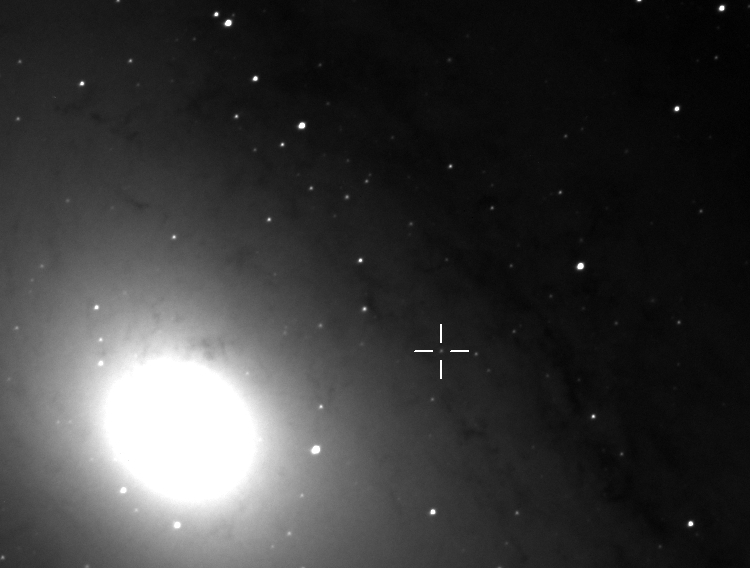 (The star is moving upwards).